Several favorite picture books return to print. 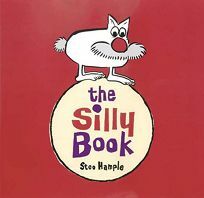 The literary equivalent of a child's giggle fit, Stoo Hample's The Silly Book (1961), originally edited by Ursula Nordstrom, was a humor reference point for countless knee-high baby boomers. Now reissued, it retains all its irony-free, Kennedy-era charms, from goofy line drawings that recall the classic animated commercials of the period to its tongue-tickling text. A boy, a girl and the Boodleheimer a mustachioed, dog-like critter with his own ""Silly Song"" star. Hample's verbal doodlings have staying power. (Sept.) .